You might think you know exactly what you want when it comes to the color of your house. In our experience, however, we’ve met with many homeowners who have had trouble making final paint color decisions. First, heading into a big box retail store to choose paint colors can be overwhelming, to say the least. You might be thinking that gray is a nice color for your home’s exterior, but once you’re confronted with hundreds of shades of gray, it complicates the decision process. Second, choosing an exterior paint color is a far different process than choosing interior paint. You might be constrained by your homeowner’s association on which colors you can use or have a historic or older home that needs a fresh look on a vintage color and must be pre-approved by your city. 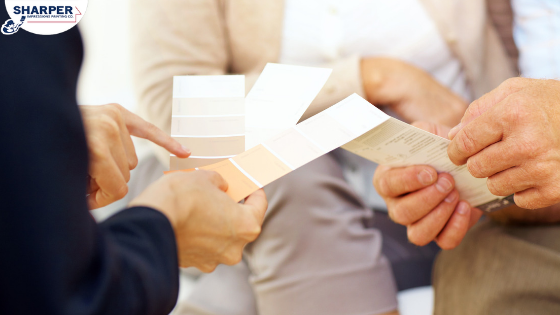 This decision-making process is made far easier when you work with a paint color expert. Here are our top reasons to entrust the help of an expert exterior paint color consultant. Does this sound like you? You stare at a color deck and the next thing you know, you have dozens of colors you’re considering. A paint color consultant will help you narrow down your options to two or three to make the decision easier. They will also work closely with you to understand what you’re looking for in the overall aesthetic of your home so the only options you’re presented with will match your vision. Already in the ballpark of what color you want? A color expert will make recommendations on which colors will work with existing architectural elements, your landscaping and overall neighborhood. If your exterior needs a full re-paint plus trim and details, a color expert will help you find which colors will look best together. They can also make sure that the colors you choose are in keeping with the home’s general time period, how you decorate your interior and also how your color scheme fits in with the feel of the neighborhood. You might have picked what you consider to be the perfect slate gray for your exterior, but have you considered how the color will look at all times of day? A paint color consultant can help you find a color you’ll love just as much in the morning as you do at dusk. That blue paint you’re considering may be too demure for your bold tastes. Or if you want your home to be a peaceful sanctuary, you may not want to enter through a bright yellow door every day. A color expert takes your goals for the tone and mood for your home into consideration when helping you pick an exterior paint color. If you want to take more of a risk with modern color, a paint color expert can recommend colors that are currently on trend, and those that will be in the coming months and years. But what they’re really best at is knowing the classics that stand the test of time and that you’ll love for years to come. You’ve probably seen a house with three to four wide patches of color on the side. This method is likely something your paint color expert will do for you, as well. It will give you time to look at your top choices and make a careful decision about the color you really love before you take the whole-house plunge. In your heart of hearts, you probably know that the paint color you’ve chosen is perfect for your home. However, you might second guess yourself, wonder if you’ll hate the color later, or even think your neighbors won’t think it fits in with the neighborhood. Choosing exterior paint is a big decision, but a color consultant will give you the expertise you need to be confident in your choice. When you work with us, we will include your paint color consultation for free if you hire us for your exterior painting project. We can also show you digital renderings of your color choices on your home so that you can be sure you love the color you choose before project start. Our professional paint color consultants can help you find the perfect color for the exterior of your home. Plus, we offer free estimates and can help you choose your design and color choices. Contact us today for a free exterior painting quote!